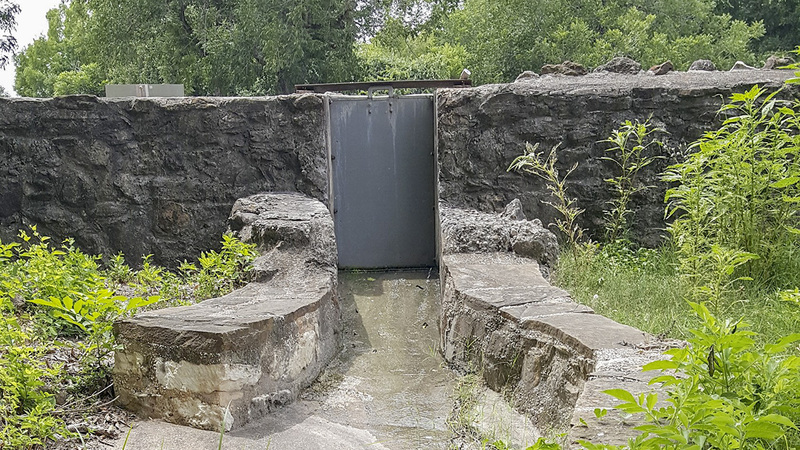 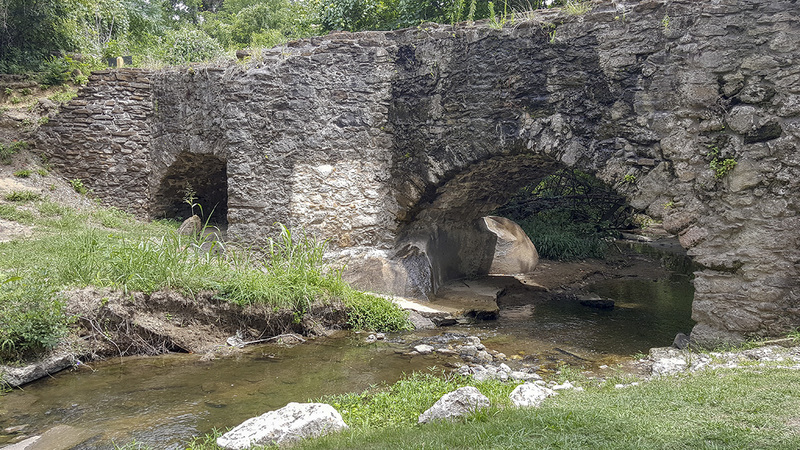 Built between 1731 and 1745, this four-mile-long acequia (irrigation system) remains one of the best-preserved and functioning examples of a Spanish acequia in the United States. 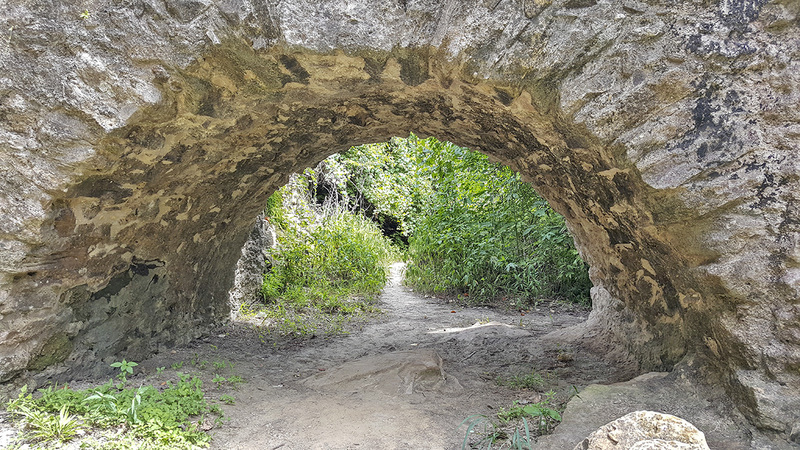 It was part of a network of acequias constructed to irrigate the lands of the San Antonio missions, whose quest was to convert the area’s indigenous population to Christianity. 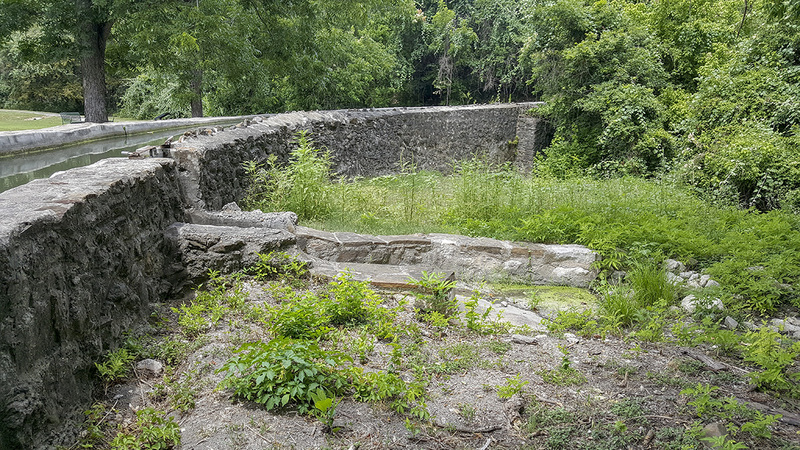 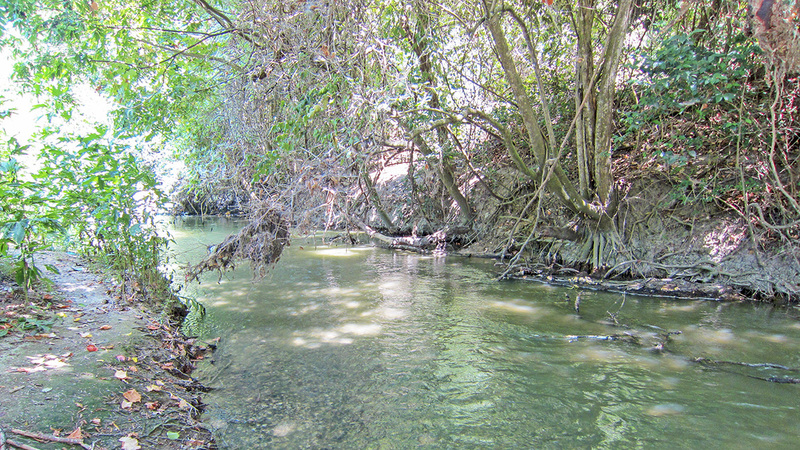 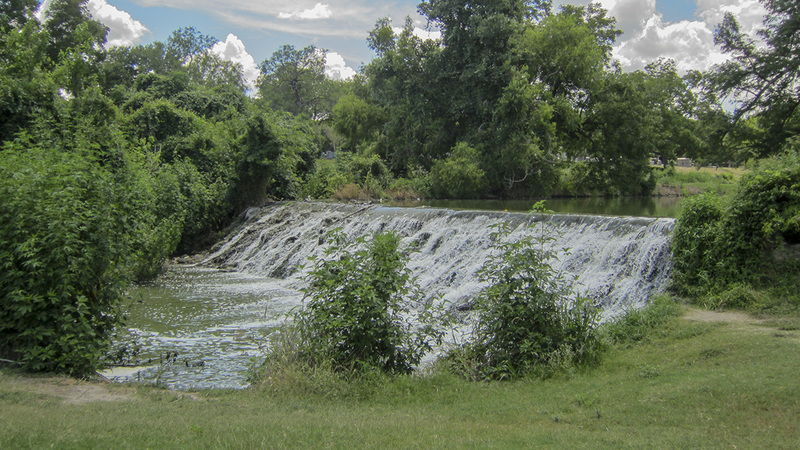 When Mission San Francisco de la Espada transferred to the west side of the San Antonio River in 1730, the Spanish missionaries realized the importance of irrigating the alluvial valley for harvest. 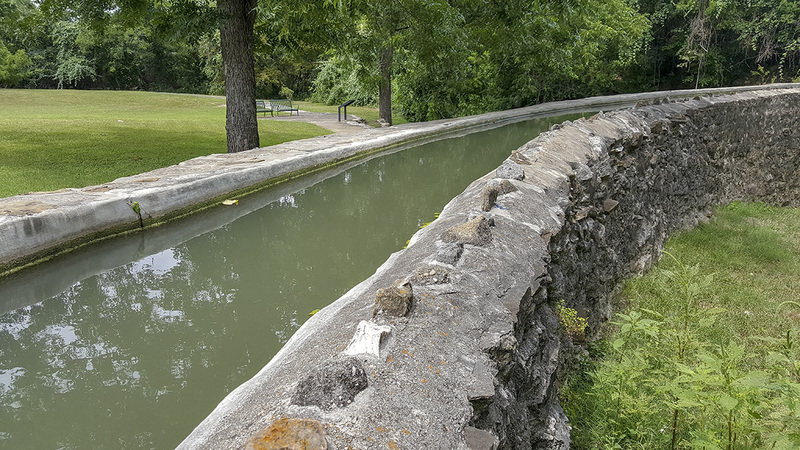 Franciscans and Native American converts immediately began work on a dam, aqueduct, and a series of ditches that curved along the contours of the river valley near Mission Espada. 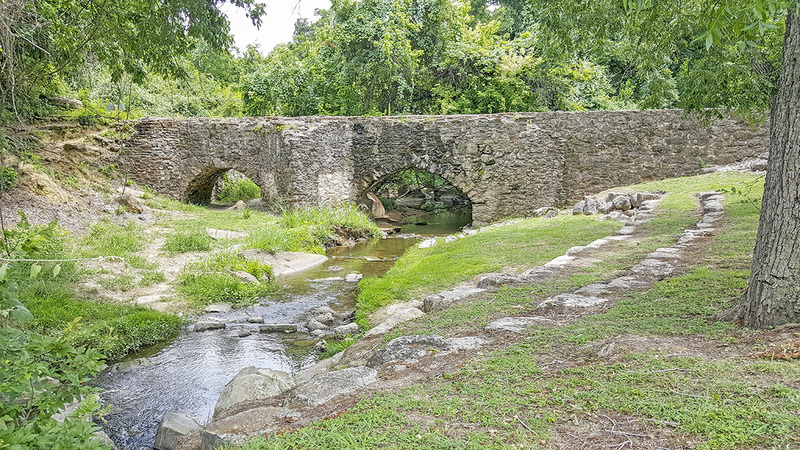 The elaborate network once extended for some fifteen miles and is estimated to have irrigated more than 3,500 acres of mission lands.